I love a good glow. I mean who doesn't? The summer means only one thing for me and that is bronzed, dewy and gorgeous skin. Well, in my dreams this is how I envision myself looking but when you have oily skin...its a little bit tricky to get that sort of look. But, fear not. I seem to have got the look nailed (well on a good day) which means that my skin can look gorgeous and illuminated but shine can still be controlled. It all starts with the base, my skin is combination. So my tzone gets very oil but the rest of skin is dry so I have to find the right balance with the products that I use. If I know that I am wanting to go for a glowy base then the day before or even morning of, I use the new Antipodes Halo Mud Mask* (£31). Straight off the bat, it smells incredible and for a mud mask this is pretty unusual. It contains grape, kiwi and peony petals which create this gorgeous scent. The combination of these and volcanic mud help to rejuvenate, brighten and boost the skins appearance. I have been using this so much recently and have barely touched the surface, you only need a very light layer and it works it magic. This is a mask that as soon as you remove it, you can see the difference. My skin is looking so much brighter and it creates a great base. Then I love going in with the Becca Backlight Priming Filter (£32). Never in a million years did I think this would work for oily skin but believe me it does. It helps keep my oily skin at bay whilst still giving me a illuminating finish. It feels very lightweight on the skin and my foundation just looks flawless when applied on top. Now, this is where I find the balance between looking oily and glowy. 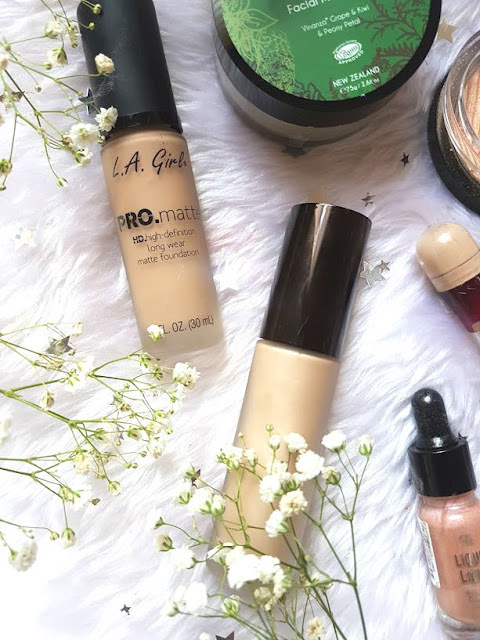 Using a matte foundation might sound like a daft thing but trust me it works, it helps to control the oil and prevent you from looking extra shiny. 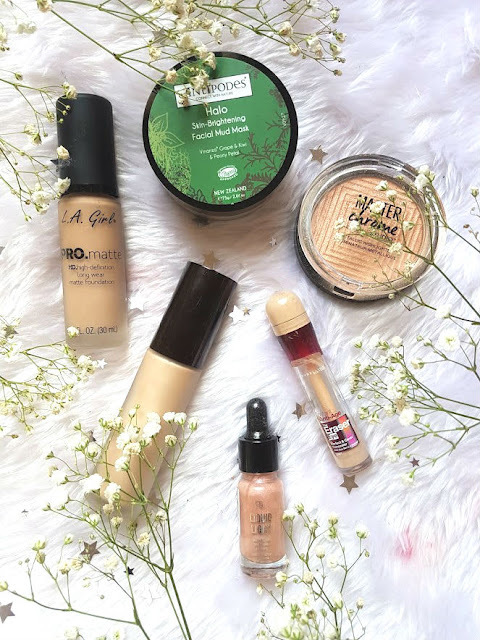 I've tried illuminating foundations from L'Oreal and LA Girl, which are amazing but they melt off me. The LA Girl Pro Matte Foundation (£10) is incredible. It has a semi matte finish, lasts for hours on my skin and just looks gorgeous. For the price, you can't go wrong and I can see why so many people love it. This on top of the primer is a match made in heaven. After primer and foundation, I use concealer to conceal any blemishes that might be peeking through and set with the Rimmel Stay Matte Powder. There just isn't a powder that works better on my skin than this. Simple, cheap but so effective. One area that has become so important to me recently when going for that lit from within look is the use of under eye concealer, it makes such a difference to the whole look. I have so many favourites that I love using under the eye but the Maybelline Eraser Eye is the holy grail. It really brightens, awakens and covered that area. To finish off this look is of course the use of highlighter. A wise man once said, you can never wear too much nor can you own too many. Liquid highlighters are great if you want to go all out, this one from Primark is super pigmented but very easy to blend. I love stippling a little bit on the high points on my cheek and then setting is with a powder highlight. 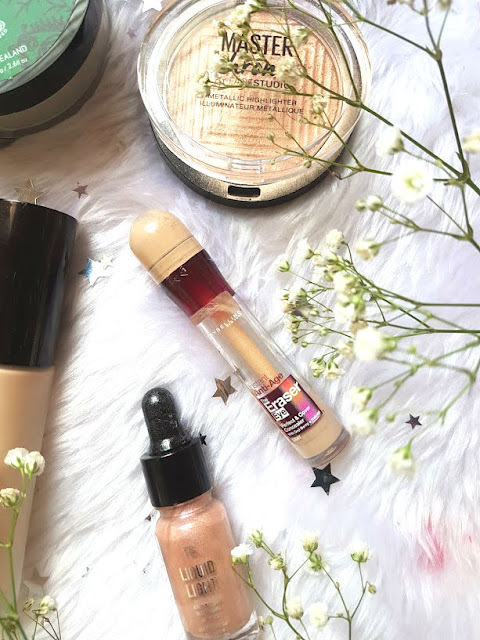 Maybelline's Molten Gold is incredible on the skin and is so versatile that it would suit everyone. 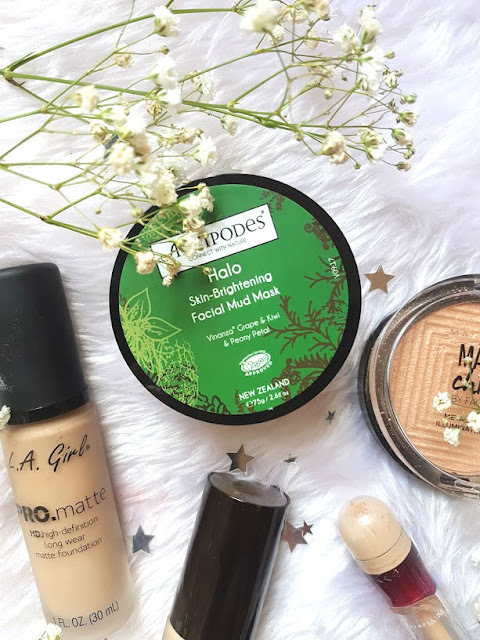 When I use these products with one another, I have a glowy, dewy, illuminated, not oily, face that not only lasts but looks incredible as the day goes on. What are your favourite glowy skin favourites?